The former may feel the same inspiration as one of our great Low Country flower painters; but he is always at a disadvantage. The one had only to satisfy the lover of superficial beauty; the other has to give truth—and through truth, beauty. The one had the easy task of pleasing the garden lover; the other knows that the botanical accuracy of his work will be examined by a whole host of critical experts… —Johann Wolfgang von Goethe, 1817. “The former,” or “the one,” Goethe was referring to is the makers of seventeenth-century flower books (Fig. 1); whereas “the other” stands for Bauer, and to a lesser extent other botanical draughtsmen from the second half of the eighteenth century (Fig. 2). However, is Goethe’s critique on seventeenth-century flower book makers a fair one? Did the makers really have an easy task? And did the garden lovers really only care for the superficial beauty of the flowers, but not the science behind the plants? Or did the flower books, their makers, and their collectors simply have a different world view than that of Goethe on what botanical science was? Or, opting for a more neutral term, what botanical knowledge was? More simply put, what kind of knowledge, aside from an appreciation of nature, do seventeenth-century flower books contain? This is one of the main questions I would like to answer with my PhD project, Everlasting Flowers Between the Pages, supported by the Netherlands Organisation for Scientific Research. Fig. 1. Hans Simon Holtzbecker, leaves from the Gottorfer Codex, 1649–1659, watercolor (gouache) on parchment, National Gallery of Denmark, Copenhagen. Fig. 2. Ferdinand Bauer, drawing for Flora Graeca (London: 1806–1840), watercolor on paper, Bodleian Libraries, Oxford. To begin with, what is a flower book? A flower book stands for a collection of flower images, a genre that was most popular in seventeenth-century Europe. These “flower portraits” were often commissioned watercolor paintings on paper or parchment and bound into an album. Published books with engravings of garden plants (Fig. 3) were also available on the market for purchasing in the seventeenth century. Fig. 3. Basilius Besler, plate from Hortus Eystettensis, vol. 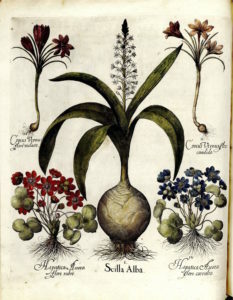 1 (Nuremberg: 1613), hand-colored engraving, The Royal Botanic Garden, Madrid. The flower book is more similar to a picture book rather than a treatise because it usually includes very little text. In many examples, text only appears in the introductory section(s) to state possession or ownership of the plants and in the captions for the plant portraits to show the flowers’ names. This lack of text is the reason why they are often seemed as an early modern equivalent of a coffee-table book: highly decorative, but not epistemic. The primary function of the flower book is to record plants, so often an album would be associated with a specific garden that once existed. Early modern garden lovers and plant collectors would adorn their gardens with colorful, beautiful, and fragrant flowers, such as roses, lilies, and crocuses. The rising availability of new species of plants from faraway lands through trades also made cultivating and studying rare and exotic plants, including tulips and sunflowers, a cultural phenomenon throughout Europe. Because the plants are ephemeral, plant collectors would sometimes commission image makers to record their plants, immortalizing the most idealistic version of their prized flower collections in vibrant watercolor. The many individual flower portraits, made after the plants in a collector’s garden, become the content of a flower book. When comparing the images of some crocus flowers painted by a seventeenth-century flower book painter Hans Simon Holtzbecker (1610/20–1671) (Fig. 1) and Bauer (Fig. 2), one distinct difference is apparent. Holtzbecker’s folio lacks the detailed depiction of an important botanical feature—the plant’s reproductive organ—as shown separately and marked with letters in Bauer’s illustration. 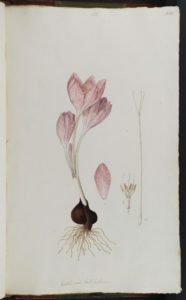 This is part of the reasons why, to Goethe, flower books such as Holtzbecker’s crocuses are pleasing to the eyes, but do not present much scientific information of the plant. To understand what kinds of knowledge seventeenth-century watercolor flower books contain, I will examine the genre both from the image maker’s and the plant collector’s perspectives. These two groups of people were most essential in the materialization of a watercolor flower book: a painter captures the likenesses of the flowers and a collector provides money and the desired plants. On the one hand, to relate to the image makers, I will make replicas of a selection of folios from several flower books, following historical watercolor materials, techniques, and processes as closely as possible. The aim of undertaking experimental remaking is to unpack the types of skills and knowledge a flower book maker needed to possess in order to truthfully document plants; and how those skills and knowledge contributed to the interpretation and perception of nature in the early modern period. On the other, I will delve into, among other things, the content of several flower books and their corresponding gardens by studying and comparing the represented species and the historical descriptions or depictions of the collectors’ gardens. This will elucidate the motivations and specialties of early modern garden lovers, and how they differ from contemporary botanists. Through identifying their collecting profiles and expertise in growing certain plants, it will shed more light on how the collectors contributed to promoting botanical knowledge in the seventeenth century. Of course, much more is to be explored and unearthed. As I continue with my research, I will post bits and pieces of my updated thoughts and findings on this blog. For anyone who is interested in something related to the method of historical reenactment and remaking, the material of watercolor and its early modern applications, how natural science was understood in the early modern period, or is simply awed by the beauty of botanical watercolors, stay tuned! 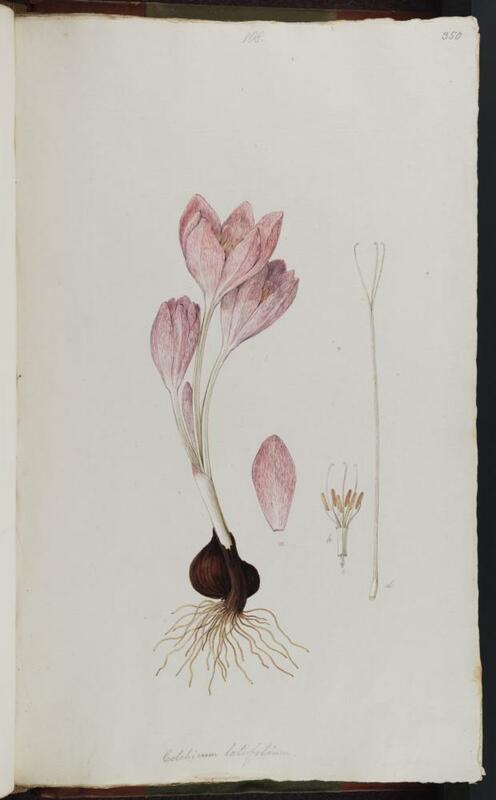 I hope that this blog will provide some light reading of current academic research and serve as an informal platform to reconnect to the early modern flower worlds through beautiful and epistemic images of plants. Translation from Wilfrid Blunt and William T. Stearn, The Art of Botanical Illustration (Woodbridge: The Antique Collectors’ Club, 1994), 233. As a starter, several examples of different views on flowers were presented in Eva de la Fuente Pedersen and Hanne Kolind Poulsen, Flowers and World Views (Copenhagen: Statens Museum for Kunst, 2013), 11–15. For a more comprehensive introduction of the flower book genre, see the chapter “Florilegia and Pattern Books” in Gill Saunders, Picturing Plants: An Analytical History of Botanical Illustration (Chicago and London: KWS Publishers, 2009). This looks like it’s going to be a very interesting project. There is something about botanical illustration that captures much more than just descriptions or even photographs. 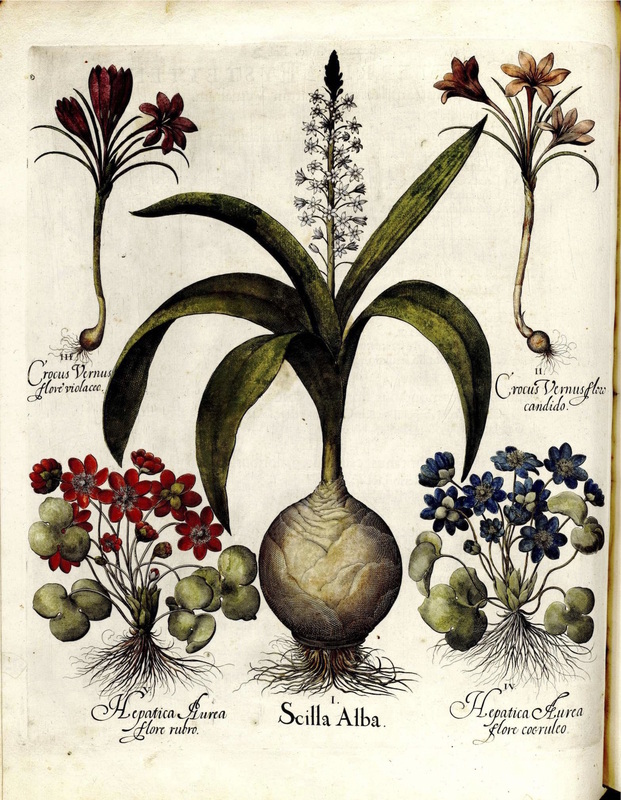 I look forward to learning more about early modern botanical collectors, artists, and more! Personally, and on a more subjective level, I think that a good botanical illustration captures the “soul” of a plant instead of just the form. I love how you have been following my research since day one back in Savannah and are still interested!